Are Too Many People Crowding Haleakala in Hawaii? Haleakala in Hawaii is one of the island chain’s most pristine treasures, and it’s a big draw for visitors who often get up in the wee hours of the morning to view the majestic sunrise from the summit. But, Haleakala’s popularity may actually be putting people AND the mountain at risk. According to the Maui News, the number of non-tour vehicles visiting the summit during sunrise exceeds parking capacity nearly every day. And, the National Park Service say the problem is only getting worse. 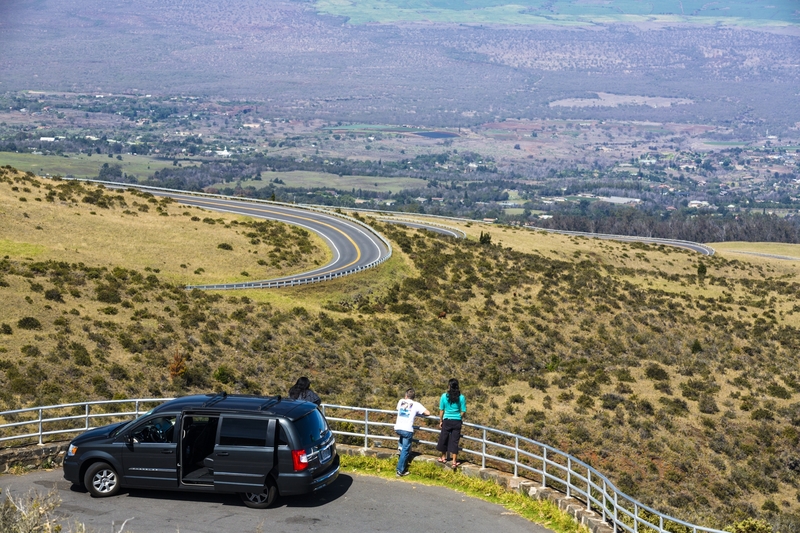 Polly Angelakis, chief of interpretation and education at Haleakala National Park, told the paper that private or rental vehicles have exceeded available parking 98 percent of the time this year, up from 83 percent in 2014 and 94 percent last year. 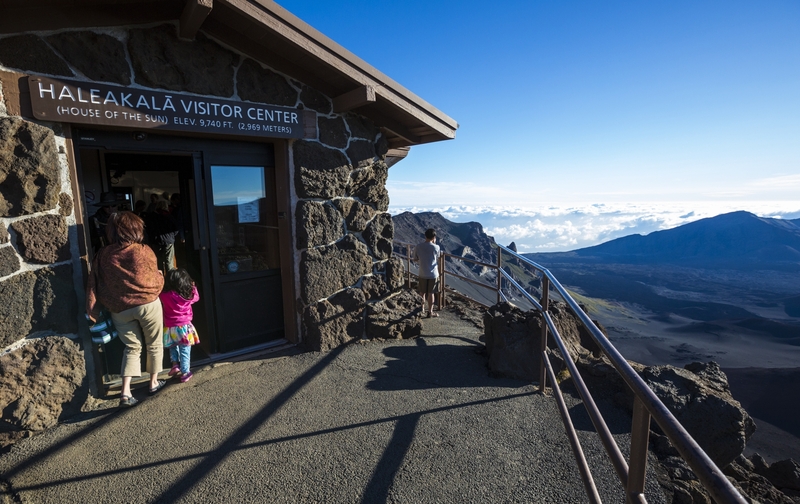 The numbers reflect the hours between 3:30 a.m. and 7 a.m.
Haleakala is only equipped to hold 150 cars, but, over the past year, there have been more non-tour vehicles than parking spaces 98 percent of the time. On average, about 241 non-tour vehicles visit the summit during sunrise, but the parking lot only has room for 150. At peak hours, the paper reports there are 340 vehicles a day. The paper also reports that the sunrise can draw as many as 850 people in one morning, with a daily average of 600. The high volume of visitors and the vehicles that bring them there put the mountain’s natural resources at risk. “These resources can be damaged both by vehicles and off-road travel by visitors,” Angelakis said. And, that is creating an overcrowding problem. In fact, when the summit parking lots are full, some visitors are parking along the access roads, Angelakis says. And, when those are full, some vehicles are stopped on the uphill portion of Crater Road. According to the park service, parking on access roads could prevent access by emergency vehicles and increase the likelihood for accidents. Angelakis reports that, so far this year, 46 percent of all emergency calls at sunrise have been for medical emergencies. She added that there were 18 emergency calls from January through March. While some are parking where they shouldn’t, others are walking where they shouldn’t. According to Angelakis, visitor safety is also a concern as people venture out to find a better view. When parking stalls are full, many people park along the access roads, which could limit the ability of emergency vehicles to get through. For visitors who want to stay safe, while enjoying the summit and learning about its resources, a guided tour is always a great bet. When you book a Haleakala Crater Hike through Hawaii Aloha Travel, your guide will take you on a four-mile hike and take care of all the preparations. It’s a great way to see the crater and avoid the crowds, while still enjoying the view and learning about the wildlife and surrounding environment. But, for those who encounter overcrowding, there’s no plan yet drafted to manage the noncommercial crowds, but two meetings have been held to solicit public comment on ways to manage crowds, visitor enjoyment as well as the protection of natural resources. You can submit comments by June 6 via the online Planning, Environment and Public Comment System. Then, park officials will use the comments as they develop a potential plan. Haleakala in Hawaii is one of our state’s most spiritual and amazing places, but overcrowding may end up hurting the mountain in time. So keep your safety in mind next time you visit — and continue to respect the crater, so others can enjoy the site, too!